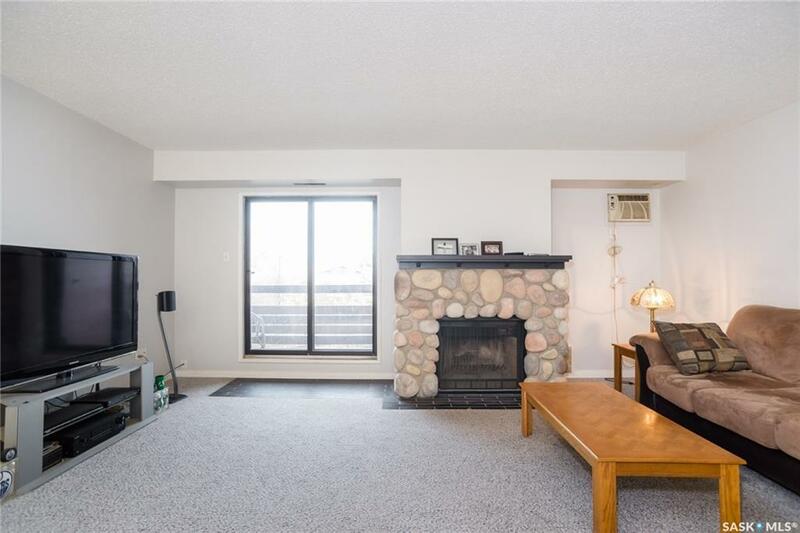 Awesome top floor, private corner unit condo at Prairie Ridge! This noise free building has concrete floors between units minimizing sound! 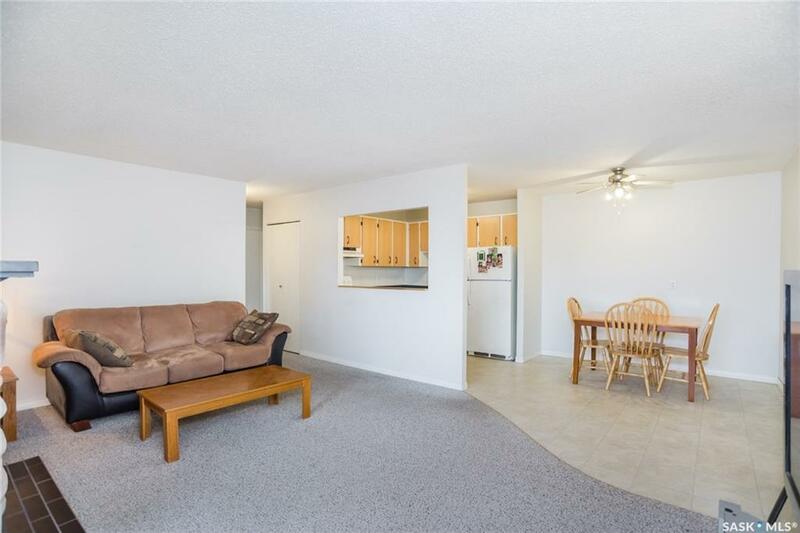 Extra large for a 1 bedroom, with an open kitchen to dining room. 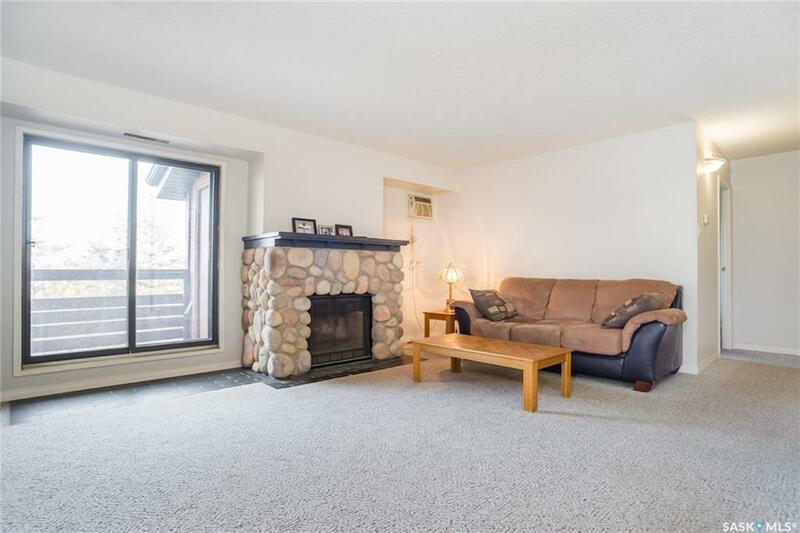 This condo features a classy stone fireplace with tiled accents. Kitchen cabinets, counter-tops, flooring, and bathroom upgraded in 2011. There is a large balcony with a storage area, in-wall A/C, and electrified parking. Plenty of visitor parking as well! 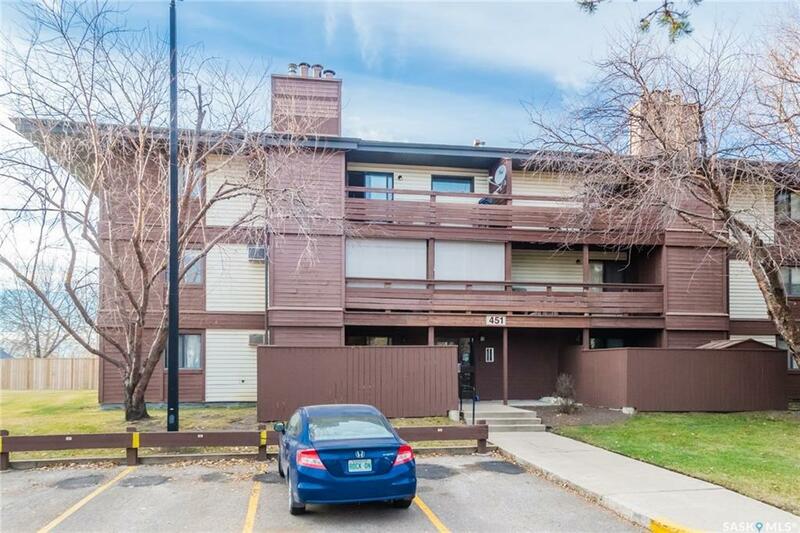 This complex has had many recent upgrades such as new shingles and siding. The Dog Park is adjacent to the complex and it is in well financial standing with a huge reserve fund. Great value, great place! Listing courtesy of Royal Lepage Saskatoon Real Estate.